Researchers at NTU, lead by Assoc. Prof. Wang Hong, recently demonstrated high light extraction efficiency of perovskite photonic crystals fabricated by delicate electron-beam lithography. Researchers from Nazarbayev University in Kazakhstan and Hong Kong Polytechnic University have demonstrated a new 4-step process including (i) spin-coating of the precursors; (ii) cryogenic treatment; (iii) blow-dry process for the removal of the solvent; and (iv) thermal annealing. This process is a straightforward and effective technique which can yield homogenous perovskite films without the use of anti-solvents and regardless of the complexity of the precursor compositions. When mixed perovskite precursor solutions are evaporated, usually non-uniform films with poor morphology are obtained due to coalescence of perovskite crystallites during rapid solvent removal. 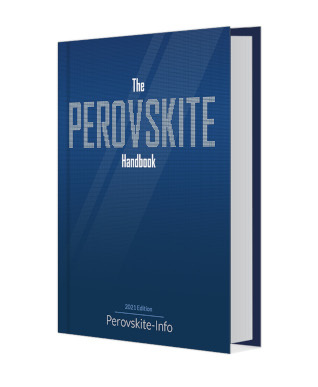 Therefore, anti-solvents are usually used to preapare mixed perovskite thin films. However, this technique is not convenient for large-scale manufacturing in industry since the final perovskite film quality critically depends on multiple parameters while adding the anti-solvent. Inaccurate control of the mixing process will cause gradients in over-saturation of the precursor solution, leading to spatially inhomogeneous nucleation of the perovskite and deterioration of the resultant film quality. Furthermore, commonly used anti-solvents such as chlorobenzene or toluene are environmentally harmful and highly toxic. The team's new method circumvents these issues and offers an improved alternative that enhances the control over the perovskite growth process, decoupling the nucleation and crystallization phases. Researchers at Penn State have gained new insight into how halide perovskite materials enable the efficient conversion of sunlight into electricity. Scientists state that halide perovskites tend to have a unique tolerance for imperfections in their structures, which allows them to efficiently convert sunlight into electricity when other materials with similar imperfections do not. What makes these materials so tolerant of imperfections, however, was unknown prior to this study. The researchers used ultrafast infrared imaging technology to investigate how the structure and composition of these materials influence their ability to convert sunlight into electricity.